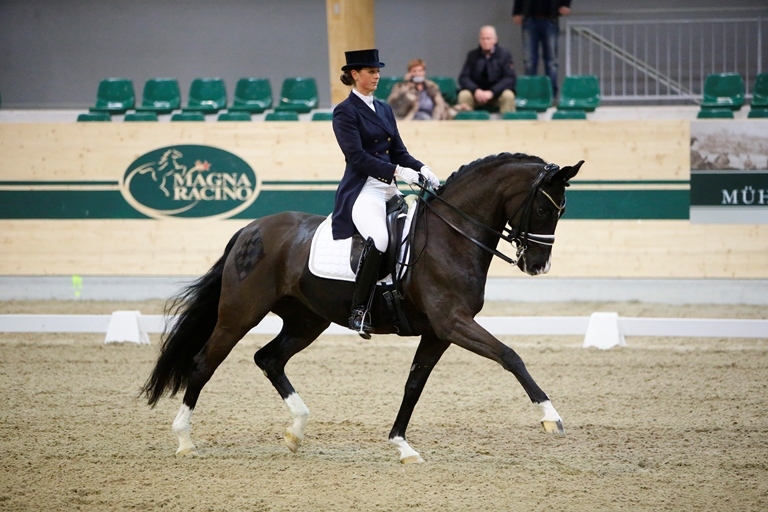 The 20th Manfred Swarovski Memorian Show began with a fourth place for Wiener Classic. The eight-year old Oldenburg Sandro Hit daughter achieved 70.816 percent under her rider, Wibke Bruns in the St. Georges in Fritzens. Schickeria also placed in this test. The Sir Donnerhall I daughter was also ridden by Wibke Bruns.